For some, jumping on the scales is a daily or weekly ritual. Others haven’t seen a set of scales for years. Some may still be scarred by memories of being weighed in public with results broadcast to all. So, is it helpful to weigh yourself? And if so, how often should you do it? Most studies have investigated the impact of self-weighing along with other weight-loss strategies such as a low-calorie diet. A review of 24 randomized controlled trials found there was no difference in weight loss between those who weighed themselves daily versus weekly. Making yourself “accountable” for weigh-ins either by having a set day to weigh in or joining a weight loss program can help you lose more weight. Regular weighing is not recommended for adolescents. Research suggests it doesn’t help with weight management and can have a negative impact on young people’s mental health, especially for girls. A ten-year study of the relationship between self-weighing, weight status, and psychological outcomes of almost 2,000 teens in the US found that self-weighing had no helpful impact on weight or BMI. For some people, self-weighing could be the key to losing or keeping weight off, while for others, it may do harm. Consider your life stage, pre-existing health conditions, and your mental well-being when deciding whether regular weighing is worth it for you. 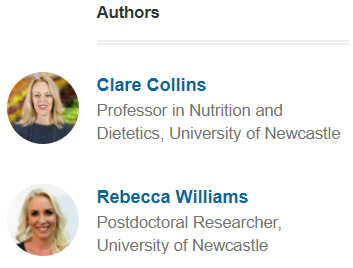 This article, by Clare Collins and Rebecca Williams, was originally published on The Conversation here under a Creative Commons license. I am *so* confused! 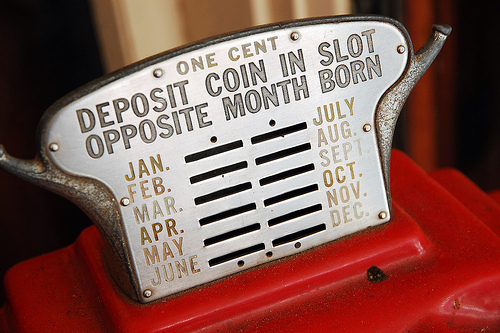 It says, “DEPOSIT COIN IN SLOT OPPOSITE MONTH BORN.” It doesn’t say “SLOT NEXT TO MONTH BORN.” So if was born in, say, March, should I deposit the coin in the slot next to SEPT? If I use the wrong slot will my weight still be correct? Ha! Your weight will be correct but not your horoscope.